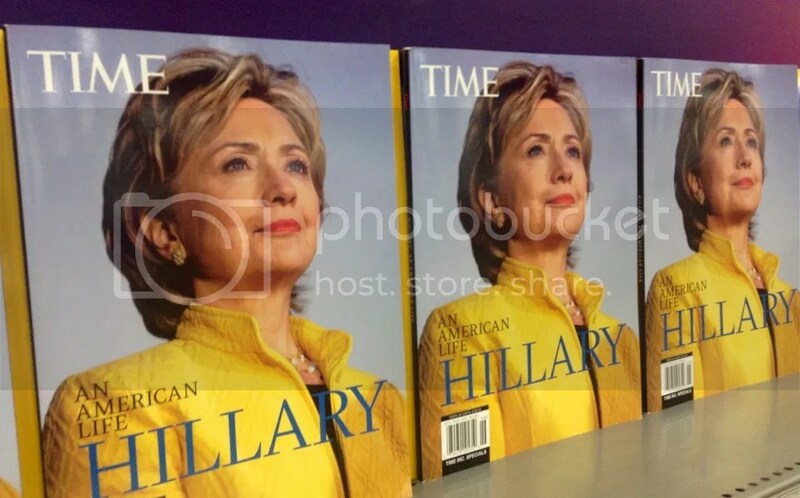 HILLARY’S 2016 CANDIDACY: A LONG AWAITED ADDITION IN THE INTERNATIONAL LINE OF FEMALE LEADERS? Last week, Secretary of State Hillary Clinton officially announced her candidacy for president in the 2016 election. While many of her supporters were first alerted over email, she quickly released a YouTube video featuring many American families in all their diversity, culminating in her announcement. “I’m hitting the road to earn your vote because it’s your time. And I hope you’ll join me on this journey.” Clinton’s support among the democratic populace is also widespread and strong. A Real Clear Politics poll taken in April reported she held a 50-point lead over Elizabeth Warren and Vice President Joe Biden, her closest competitors, and according to Sean Spicer of the Republican National Committee, her chances of losing the nomination are as high as his of “getting struck by lighting riding a unicorn”. Hillary’s campaign means we are seriously looking at placing a woman at the head of our nation; electing a woman to that decision-making position signifies a more widespread agreement that gender cannot and should not diminish one’s capabilities. While ultimately it should be the politics of the nation’s ruler that matter above all other factors, a female president in the United States is a big step, and is long overdue. Her campaign marketing, at least so far, is not particularly aimed at her pull as a female leader, and she seems dedicated to working as hard as necessary toward her goal. In a memo to her campaign, she wrote, “we are humble, we take nothing for granted, we are never afraid to lose, we always outcompete and fight for every vote we can win.” Nevertheless, in a world where women are increasingly crucial to international and domestic politics and peace building, the United States is ranked 79th in terms of women’s political participation. This puts us far behind many countries that we designate as “third world.” In this sense, Hillary Clinton’s election could mean a step forward, adding to a line of women internationally who have made that same step. Hillary’s election could also mean her addition to the Council of Women World Leaders, an organization of current and former female presidents and prime ministers. Also in that network are several women who have made huge steps in the fight for gender equality. Corazon Aquino, the first female president of the Philippines and in Asia, established a new constitution and congress, broke up national economic monopolies, and was named TIME Magazine’s Woman of the Year in 1986. Mary Robinson, former President of Ireland and UN High Commissioner of Human Rights, fought to change Ireland’s immigration policy and was active in international human rights as the first head of state to visit Somalia after the civil war in 1992 and Rwanda after the genocide in 1994. Ellen Johnson Sirleaf, the first female president in Liberia and in Africa, brought up the Liberian GDP from $604 million in 2006 to $1.7 billion in 2012; she also received, along with two others, the 2011 Nobel Peace Prize for her work toward gender equality. The newest addition to the Council is Atifete Jahjaga, the first female president of Kosovo and the nation’s youngest president. Since her election in 2011, she established the National Anti-Corruption Council, which is dedicated to female and minority equality. Whether or not their platforms rest on gender equality, their presence and capability in those leadership positions works to expand horizons and opportunities internationally. It is by no means necessary, however, to run a country in order to make a difference. There are myriad examples of women changing their environments locally. Marisa Ugarte epitomizes this: After experiencing human trafficking in Tijuana, Mexico, working with runaway teens, she founded the Bilateral Safety Corridor Coalition in 1997. The organization works with agencies on both sides of the US-Mexico border to combat commercial and sexual exploitation of all persons. Working with one person at a time, Ugarte and her organization will make a difference in those lives. She has been recognized for her accomplishments by the International Foundation of Human Rights and former President Bill Clinton, and will be speaking about human trafficking at an event hosted by San Diego’s Ambassadorial Roundtable on May 7th. Ugarte is just one of so many others working to improve conditions in the world around her, and over time it is becoming increasingly possible for other women to do the same. In this sense, support for Hillary Clinton and Marisa Ugarte, both hardworking, intelligent, and capable of shifting their environment, lead to a similar conclusion. Women and men, more and more, are lending their support toward putting more qualified and hardworking women in positions of decision-making power.